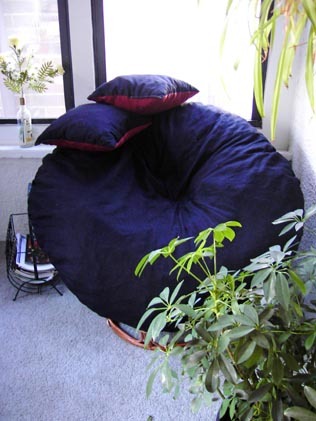 Papasan (single) and mamasan (double) cushions are available in wide selection of high-grade, durable microfiber and premium velvet fabrics. 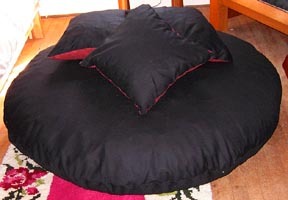 These cushions are designed to fit the standard size 52” diameter papasan or Pier 1 mamasan double frame. Filled with specially cut polyurethane foam they, offer excellent comfort and support, and both pieces include a zipper for easy personalized firmness adjustment. Additional accessory pillows are also available. All pieces are easily shrunken and shipped and delivered to your door. 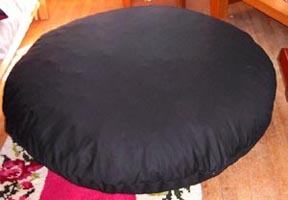 We will also do special size papasans and mamasan cushions. Contact us for more information for special orders or matching ottomans.